Passengers today expect modern station facilities which efficiently and comfortably convey them to their destination. Whilst stations and hubs can be purely functional, they can also be architecturally designed spaces which act as a focal gateway to support urban regeneration. Good transportation links need convenient parking at the right price-point whether it’s conventional level surfaced car parks, single deck additions or multi-storey solutions. By selecting the optimum solution, facility owners and operators can meet demands and generate additional revenue. Our competent multi-disciplinary teams will work with you to fully understand your specific needs and concerns. Collaborating with your professional team and key stakeholders we can add value without compromising on safety and quality through optimised layouts and modern methods of construction to provide an efficient whole life solution. Meticulous planning and phasing developed around your operational needs can maximise the revenue stream through staged handover and ensure a smooth transition into operation. Our knowledge and expertise has been gained from a portfolio of rail station and multi-modal transport hubs and car parking solutions for rail operators and public and private sector customers. Decisions taken early during concept design and development can have significant impact on successfully delivering to customer’s budget, time and quality requirements. Our professional team take a collaborative approach to fully understand the aspirations and constraints and identify innovative solutions that bring that ‘added value’ to the scheme. We have the expertise to marry the architectural concept, the design and the construction into a union that is safe and efficient to construct whilst fulfilling the concept brief. 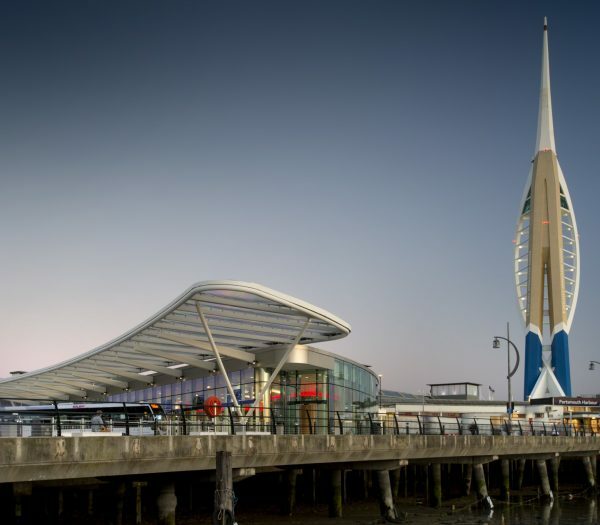 At ‘The Hard’ Multi-modal transport hub for Portsmouth City Council the team worked with architect and engineers to review and value engineer the design to come within the tight budget constraints. The result was a flagship building that retained its visual integrity and delivered against cost. 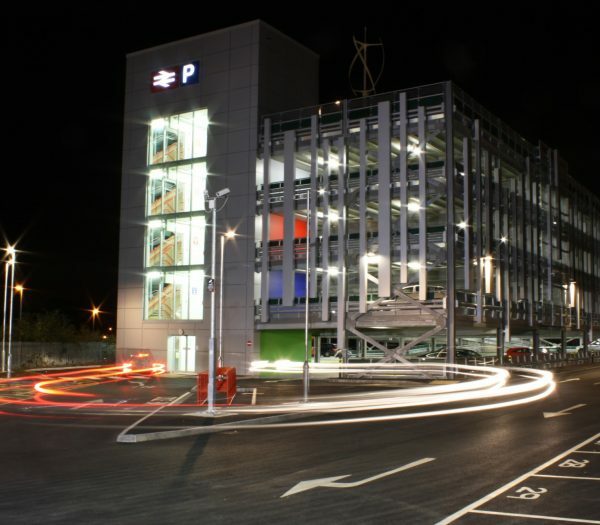 We have designed and built multi-storey car parks for our Rail, Local Authority and NHS customers. Through early engagement we offer the full range of professional services from conception to completion. Full understanding of the requirements and constraints can deliver a parking solution that considers the whole life and uses modern methods for efficient construction and smooth transition into operation. Where a car park is adjacent or over the operational railway we are experienced to meet Network Rail’s exacting design and construction approval and safety requirements. Additional parking revenue can be generated from vacant land or existing level parking by adding single or double deck parking. Our solution is flexible enough to meet short or long term needs. It can be quickly and efficiently erected on existing surfacing without the need for extensive foundations. For short term requirements it can be dismantled easily relocated. 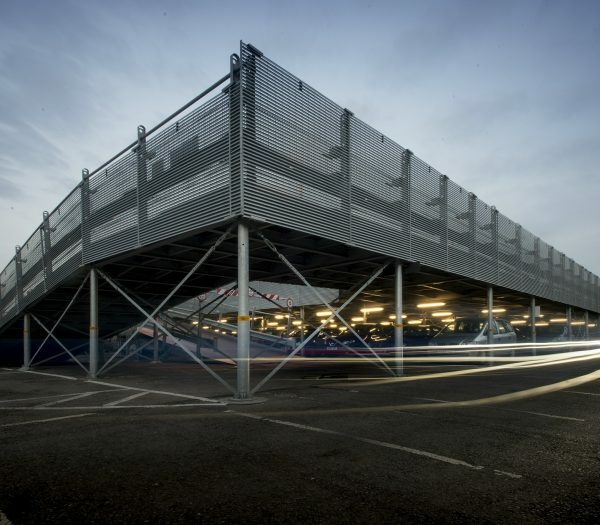 Osborne also offers rental options to supply, erect, maintain and dismantle the parking facility without capital expenditure.